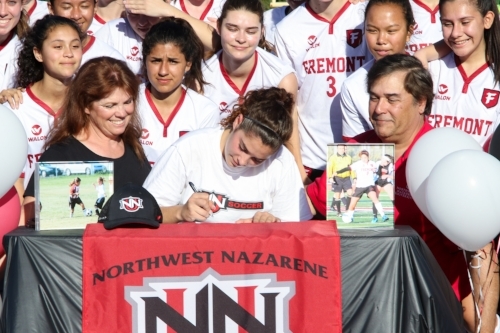 Wednesday, February 7th was National Signing Day, where players signed their National Letter of Intent to play soccer in NCAA colleges and universities. We congratulate all of our players who have committed to play collegiate soccer. Currently, fourteen player have committed and we expect more in the upcoming months. Congratulations. We're very proud of you! You worked hard for all that you've accomplished and we wish you the very best as you begin this new chapter in your soccer career!